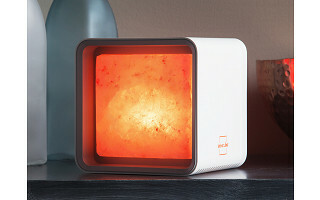 The Himalayan salt lamps from ZenCube wrap all the good-for-you benefits of traditional lamps—like boosting your mood and helping you sleep better—in modern designs. 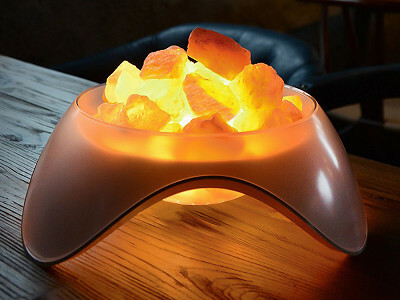 And these pink salt lamps are not only better looking, they function better, too. 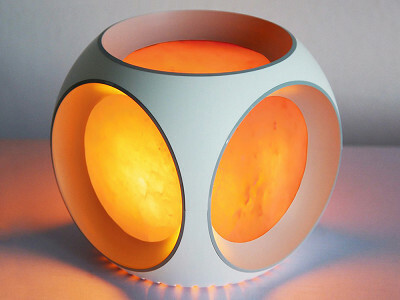 The salt used in the lamps is the real deal mined in the Himalayan mountains. When the salt is heated, it releases a vapor and "sweats", causing it to break down and get messy. 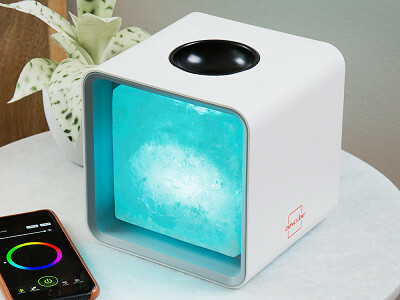 ZenCube uses an LED bulb to heat the salt to a just-right temperature. It still produces that negative ion-packed vapor (thought to neutralize free radicals, revitalize cell metabolism, and enhance the immune system), but doesn’t break down the salt. 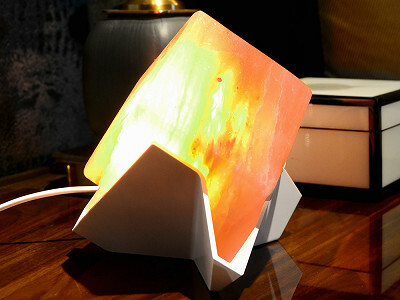 There’s an app-enabled lamp that lets you switch up the light color, too. 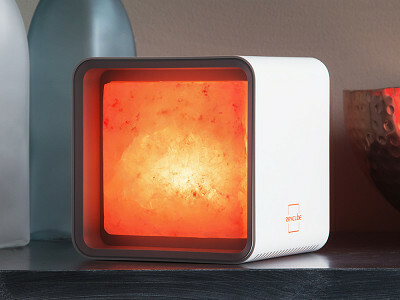 Now you can harness that mood-and health-boosting goodness in an attractive and longer lasting salt lamp. What is special about the ZenCube that prevents it from sweating? There is a very specially engineered aspect about the bulb which conducts just enough heat to activate the salt (and therefore the health benefits) but not enough to make it sweat. This process, as you can imagine, took a very large number of trial and error attempts and worked to very fine margins to get the optimum balance. Do all of the models you are offering (not including the ZenCube) have the "no sweat" benefits? Or just the ZenCube? All of the models have these benefits. What causes traditional salt lamps to sweat? It is caused by heat. Halogen bulbs are used, which get very hot and cause the salt to melt and the lamp to weep. When it does so, it gets very mucky and sticky. This has always been a problem which people who love salt lamps have just had to accept if they wanted the benefits that came with it. Normal LED bulbs do not get hot at all—so any salt lamp which simply had a LED bulb on there, would, therefore, purely be cosmetic, they wouldn't get any health benefits from it. The ZenCube and the rest of the range actually fuse the best of both worlds together. 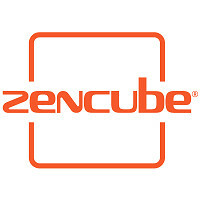 Does the salt block within the ZenCube have a lifespan? If so what is it? What are the lifespans of the other models? They all should last over 5 years (but could be even more if they are maintained well).